Today’s drivers face a variety of hazards. Wayne Insurance Group offers several options to help protect you against financial loss should you suffer an auto accident or damage to your vehicle. Also, liability insurance is required by law, so it’s important to have the right protection every time you or a family member takes to the road. A wide variety of optional coverages are available to meet your specific needs. These can include roadside assistance, towing, rental car reimbursement, loan/lease gap coverage (for unpaid loan or lease agreements), custom equipment coverage, optional $0 deductible on glass, and coverage for electronic equipment. 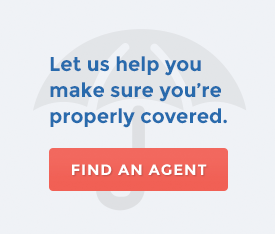 Be sure to ask about coverage for other vehicles, such as motor homes, trailers, motorcycles, mopeds, motorbikes, golf carts, snowmobiles, ATVs, dune buggies, farm trucks and antique automobiles. Contact your Wayne Insurance Group agent to find out how our Personal Auto program can be tailored to meet the needs of you and your family.